On March 13, 2014, President Obama directed the Department of Labor to update its overtime regulations under the Fair Labor Standards Act (“FLSA”), and the DOL issued its draft regulations last July. After considerable delay (a welcome development from the standpoint of employers) during the comment and revision period, the DOL released the final rules on May 18, 2016, with employers required to be in compliance on December 1, 2016. 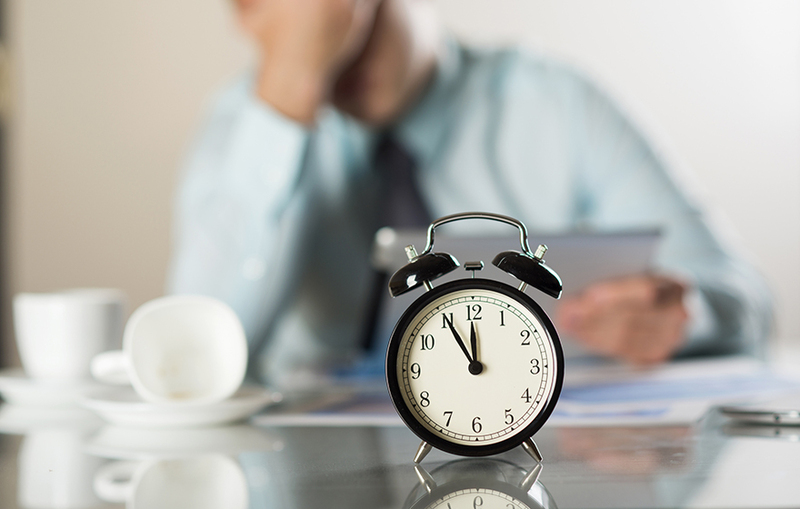 Although there are several months remaining until the new regulations go into effect, employers should begin making preparations for what will be a significant shift in overtime policy under the FLSA. The FLSA, first enacted in 1938 and amended several times since then, provides for a federal minimum wage, a standard 40-hour workweek, and pay at time-and-a-half for all overtime hours, among other requirements. However, the law also created several exemptions from its provisions for certain classes of workers, the most common of which are the so-called, “white collar” exemptions. These exemptions encompass three subcategories of workers: (1) executive (think supervisory/management employees); (2) administrative (think HR professionals, insurance adjusters, and other employees exercising substantial discretion as to important matters); and (3) professional (think doctors, lawyers, accountants, teachers, and other learned professionals. Unlike non-exempt employees, none of the aforementioned classes of employees is entitled to premium pay for overtime hours. This is why all of you lawyers can be made to work nights and weekends without a corresponding pay increase. To qualify for one of these “white collar” exemptions, an employee must satisfy a two-part test. First, the employee’s actual job duties must be of a particular nature for each exemption. To qualify as an exempt executive, for example, an employee must have the primary duty of management of the business, customarily and regularly supervise at least two other full-time employees, and have authority to hire and fire (or significant input into such decisions). Second, the employee must meet the “salary basis” test, which requires that the employee be paid a salary of at least $455 per week ($23,600 annually). Other than some narrowly construed, permissible deductions, a salaried, exempt employee must receive at least his or her full salary during any week in which any work is performed, whether it be 1 hour or 100 hours. Non-exempt employees, in contrast, are generally (but not always) paid hourly, must be paid only for the hours actually worked, and must receive premium pay for all hours over 40 in a workweek. By far the most significant change to the FLSA under the new overtime regulations is a sizeable increase in the required salary basis. In the final rule released on May 18, the salary basis was increased to $913 per week ($47,476 annually). Although this amount is somewhat lower than had initially been proposed last July, it still represents a substantial increase of more than double the current salary basis. Another significant change is that the salary basis will be tied to a national wage standard to be adjusted automatically every three years, beginning on January 1, 2020. This amount is set at the 40th percentile of weekly earnings of all full-time, salaried employees in the lowest-wage Census Region (currently the South), and the salary basis will be adjusted every three years to maintain this level. That means that employers must continually monitor their salaried employees’ wages and provide pay increases as necessary to stay above what will be a continually shifting threshold. A welcome development in the final rule which was not part of the proposed rule is that employers will be permitted to use nondiscretionary bonuses and incentive payments (including commissions) to satisfy up to ten percent of the new salary basis. This will provide some measure of flexibility to employers in adjusting their employees’ compensation to qualify for the revised exemption. The final change in the new rules is an increase in the required compensation to qualify for the “highly compensated employee” exemption. This relatively uncommon exemption applies to employees who meet some, but not all of the required duties for an exemption, receive at least the standard weekly salary basis, and receive total compensation of at least $100,000 annually. Like the standard salary basis, the total compensation level for highly compensated employees will also be tied to a national standard—the 90th percentile of earnings for all full-time, salaried employees nationally (currently $134,004 annually)—and will be adjusted every three years. In a nutshell, employers will have to pay their salaried employees substantially more than is currently required under the FLSA to qualify for an overtime exemption. Although these new rules will certainly present a challenge for many employers—particularly those in industries such as hospitality and retail where fairly low wages are common among managers, shift supervisors, and similar positions—employers can take solace in a significant area which will stay the same: the duties tests. During the initial drafting and comment phase, there were substantial indications that the DOL would tighten up the duties tests and make it even more difficult for employees to qualify as exempt. One possibility would have been a bright-line rule that an exempt executive employee must spend at least 50% of his or her time engaged in management duties, which would have virtually destroyed the exemption as it relates to, for example, retail store managers, who typically spend a significant portion of their time engaging in tasks such as stocking shelves, helping customers, and working the cash register in addition to their management responsibilities. Employers can breathe a sigh of relief that the duties tests will not be changing, at least for now. As it pertains to employees who are currently exempt but are not paid enough to qualify under the increased salary basis, there are really only two options for employers under the new overtime regulations: increase their employees’ salaries at or above the new threshold, or treat such employees as non-exempt. The first option will come at an increased cost, and the DOL estimates that as many as four million currently exempt employees will become non-exempt in the first year of implementation alone due to the cost of compliance with the new rules. Choosing this option will also amount to a regulation-backed guarantee to provide an exempt employee with a raise every three years to ensure that he or she stays above the shifting threshold. The second option requires that an employer track the employee’s hours and pay him or her the overtime premium for all hours over 40 in a workweek. Whether or not this results in an increase in compensation will depend upon how many hours the employee works. Lawyers should recommend to their employer clients that they begin working now to analyze their work force to determine how they will manage the new overtime rules. Employers should begin identifying those employees most likely to be affected. For employees who make far less than the proposed new salary basis, the decision is likely an easy one—it will almost certainly be more beneficial to treat such employees as non-exempt than to more or less double their current salary. For exempt employees who are closer to the new salary basis, employers should begin requiring them to track their hours on an interim basis, which will allow the employer to accurately determine the relative costs to the company of reclassifying versus raising the salary of a particular employee. Many employers have no more than a general idea as to how many hours their exempt employees actually work—this is not surprising since it previously had not mattered. During the interim timekeeping period, exempt employees should be required not only to clock in and out at the beginning and end of a shift, but also for lunch breaks lasting at least 30 minutes, during which they are completely relieved from duty. Employers will want to tighten up their break procedures and ensure that “working” lunches taken at the employees’ desks are prohibited. Employers should also require exempt employees to track time spent outside of work engaged in work tasks—checking emails, answering phone calls, and similar tasks. All of this work is compensable for non-exempt employees and contributes to the 40-hour-per-week overtime threshold. This timekeeping need not utilize fancy machinery or software—a notepad and pen will work just fine. The employer should closely monitor its exempt employees’ hours over a period of several weeks and determine the best course of action. For employees who are already near the proposed salary basis and work a high number of hours, the math will likely dictate that increasing their salaries makes the most financial sense. For those who work close to 40 hours and rarely work overtime, it may be more sensible to treat them as non-exempt and simply pay overtime when applicable. Many employers do not realize that non-exempt employees may be paid a salary, but this is also an option. Paying a salary may allow the employer to pay the employee only half-time for overtime hours rather than the full time-and-one-half premium. Other measures, such as mandatory lunch breaks, hours reductions, and policies prohibiting working from home, may also help control the hours of non-exempt employees and avoid overtime situations. Another possible option is to divide job duties among multiple employees, which may involve new hires, in order to more evenly distribute the workload. There are a myriad of options to ensure compliance with the new overtime rules, but it is imperative that we advise all of our employer clients to begin the necessary analysis so that the appropriate decisions can be made. One final consideration is employee morale, and employers should begin developing appropriate messaging to address these changes. Many employees may not appreciate the perceived loss in status which accompanies a switch from a salaried to an hourly role. The key message to employees should be that these changes should not result in a decrease in pay. Rather, the goal is to maintain pay at roughly the same level, which may take a bit of adjustment during the first few months to ensure that the hourly wage being paid and the amount of overtime being worked match their current salary. A silver lining to these changes is that they also give employers some cover to reclassify employees whose duties perhaps already made their exemption suspect—now employers have a built-in reason to reclassify such employees as non-exempt without raising red flags. Developing consistent, positive messaging well before the new rules take effect on December 1 will go a long way towards maintaining a happy and productive workforce. Clearly, the impending changes to the FLSA’s overtime rules represent a significant challenge to employers. However, with careful thought and advance planning, we can help our clients to navigate this new landscape with minimal cost and disruption.